The only peak that surpasses it in height, is the Gerlachovský štít peak (2,654 m) situated about 7 km south-east, and it can be easily recognised for its unusually bevelled summit. In fine weather, you can experience a unique panoramic view of the whole area on top of the Lomnický štít peak. If the visibility is good, one can see over the Belianske Tatras, the unending Polish plains, while in the opposite direction one captures perhaps a fifth of the Slovak territory. There is a natural botanic garden on Lomnický štít peak since 2008. But if the weather is not agreeable, and this is only too often at this altitude, disappointed tourist are be surrounded by a milk-white mist, obscuring even the meteorological apparatuses placed right below the ledge. 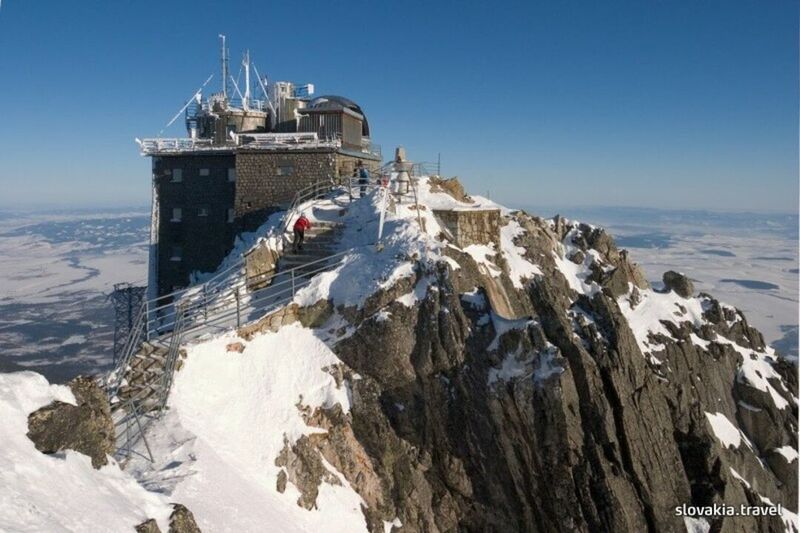 The meteorological station is the highest located working place in Slovakia. In the 1950's a new building for astronomers and a coronal station of the Institute of Astronomy belonging to the Slovak Academy of Sciences were added to the meteorological station. Astronomers are involved in the research of cosmic radiation. Interestingly, one can also use here the highest situated telephone booth in Slovakia.